Its a really good video. Some awesome gameplay in it. I do however take issue with your conclusion. You state that it is a good idea fr DICE to get everyone using shotguns, to get data.....what data are they going to get that is useful? Having test data in a non representative way, does not help balance, and they already know which shotties are preferred by the player base. So what use is it? I had fun getting those 300+ kills. Though my data would be entirely using the m1900 slug. Since st basically a short range sniper rifle. They wanted to find out the maximum possible salt that could be generated in just one weekend with this game. Naturally, a challenge requiring shotgun kills has proven to be the most effective way to do this. 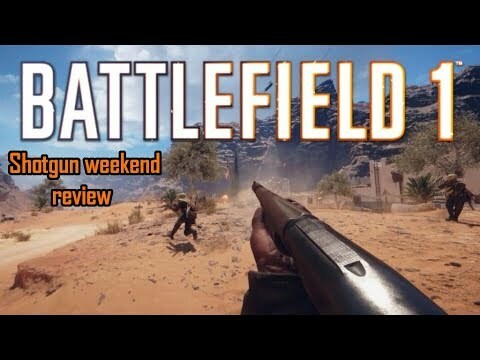 Interesting vid, but haven’t they tested scatterguns in the Beta & CTE, as well as having plenty of time to observe them in action? What more conclusions will this grindfest generate? If shotties remain random & unbalanced, then it wouldn’t have been worthwhile. Since there’s so much saltiness, maybe we should load our shotguns with rock salt. I got all of 2 kills with shotties on shotgun weekend. So what they buffed em or what did I miss an update everyone is running them what gives ?